This building was originally a small department store whose address was un-numbered 'North Cliff'. 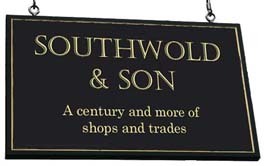 This seems to have been a descriptive name for this general area of Southwold. Later the shop assumed a Stradbroke Road address but today it is officially designated 11 Chester Road. 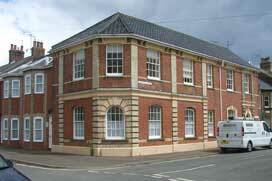 As it happens, the building is No 11 whether considered as in Stradbroke or Chester Roads! H J Debney & Sons - Grocer, Draper, wine and spirit merchant, milliners, dressmakers, estate agents. 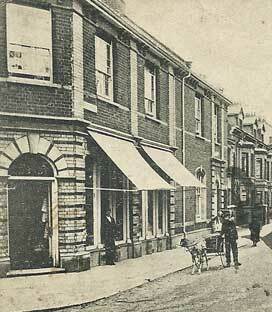 This is a branch of the considerable Debney retail business whose main shop is at No 7 South Green. 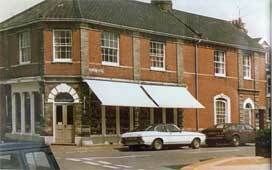 Other branches are at No 37 High Street and in Walberswick. Henry Johnson Debney himself died in 1890. Herbert Coborn Alderton - Grocer. 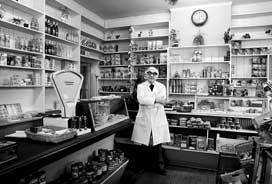 The late J B Harris who spend boyhood summers in Southwold between the wars, remembers that his parents had strong views on which shops should be patronised and which avoided. According to them... "There was only one grocer of quality, Alderton's on the corner of Chester Road... When we were little, old-man Alderton with a cloth cap and a pencil behind his ear would always give us a biscuit, and at the end of our holiday a slab of Bournville." With thanks to J B Harris's widow, Mary, for permission to quote from his unpublished memoir: 'Memories of Southwold 1920 - 1939'. George Bumstead (SPM1946) Returning from War Service in the RAF, George continues the family grocery business started by his parents, Marshall and Violet at No 25 High Street, at these impressive new premises. 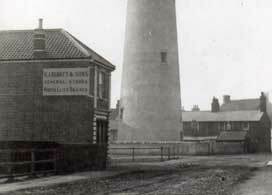 Debney's Stradbroke Road branch in 1903. Stradbroke Road is on the left flank, Chester Road on the right. Reproduced from 'Southwold & Neighbourhood'. The store in the 1900s. The man in the road is leading a goat cart. From a postcard in the Robert Palmer Collection. 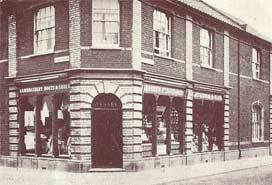 The rear of the store in the early 1900s. Note how the road is a rough dirt track at this time. 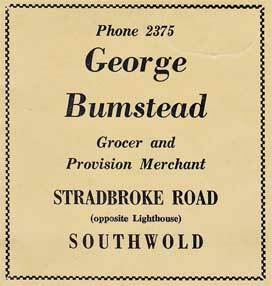 In 1946, the year George Bumstead opened his store in Stradbroke Road, he took this modest advertisement in the Souvenir Programme for the Southwold Victory Celebrathions. ...and in 1969, an advertisement in the programme of the Rotary Club's Leisure Activities Exhibition. George Bumstead's shop, probably in the 1970s. 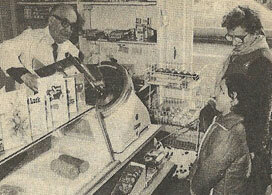 George Bumstead photographed in his shop shortly before retirement. 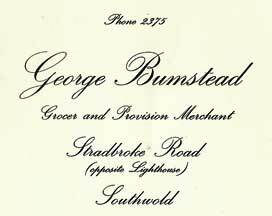 George Bumstead's last day in November 1984 bringing to an end nearly70 years' trading by the Bumstead business. Local news cutting kindly supplied by Heather Osmer.